Some great gear on sale this week. The tentacle-faced Agent of the Whatever Xur has returned in Bungie’s Destiny with a new haul of Exotics. Head over to the Reef where he’ll remain until April 16th, 2 AM PST. This week’s equipment include ACD/0 Feedback Fence (Titan gloves) which answers enemy melee strikes with a damaging shockwave; Bones of Eao (Hunter boots) which bestow an additional jump; and Heart of the Praxic Fire (Warlock chest) which further reduces the cooldowns from Radiance, thus allowing for more grenade throwing. Each piece can be had for 13 Strange Coins. Xur is also carrying the Exotic auto rifle Hard Light for 23 Strange Coins. It’s hardly ideal especially due to the muzzle flash and excessive shaking but it’s not awful. The Legacy Engram is for Year One Special weapons and costs 31 Strange Coins. 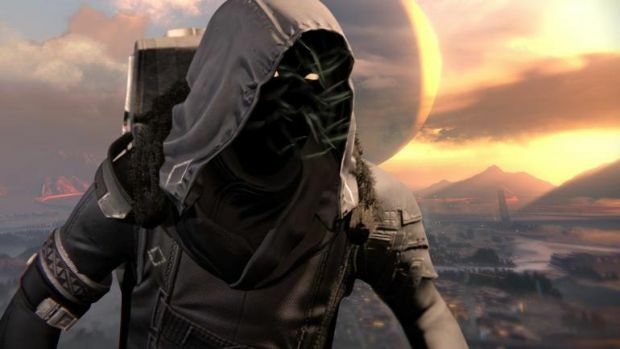 Head here for more information on Xur’s other wares including Heavy Ammo Synths, Glass Needles and Exotic Shards. Thoughts on this week’s inventory? Let us know below.